4 tbsp sugar or add as required. 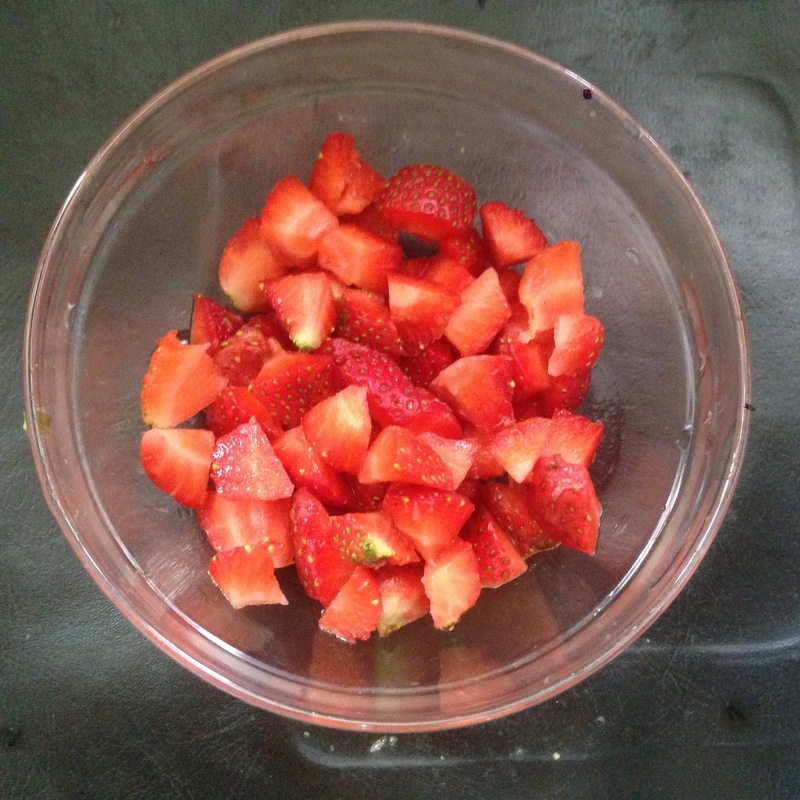 Wash, hull and chop the strawberries. 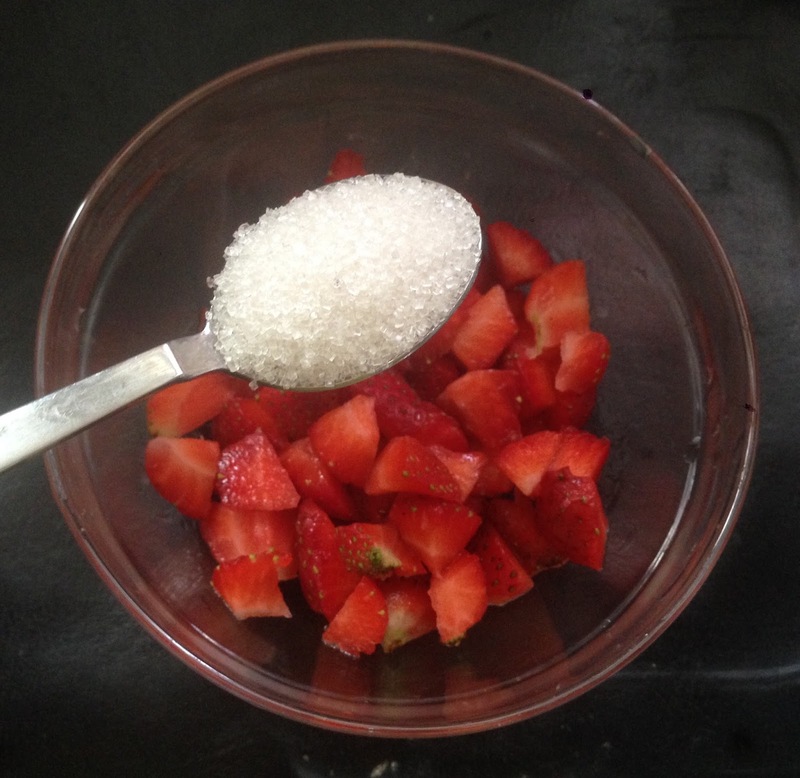 Sprinkle 1 tbsp sugar over them and toss them around a bit. Allow to rest. Whipped the cream by adding remaining sugar to it. Add the strawberry puree to the cream mixture .Fold them gently. Spoon the mousse in the shot glasses or bowls. Cover and refrigerate for 4 to 5 hours or till well set. Decorate with chopped strawberries above it. Serve the eggless strawberry mousse chilled. Add strawberry puree to the cream. Once it set,add some whipped cream topping above it. Garnish with strawberry slices or grated chocolate. 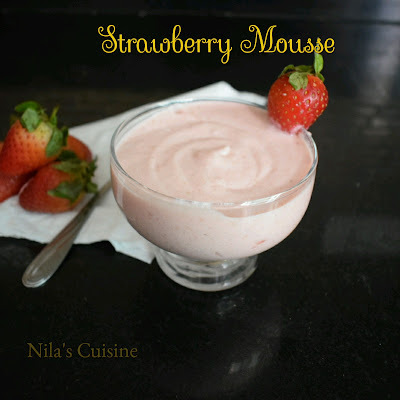 Serve the eggless strawberry mousse chilled.